Malpractice cases are typically defined using the “negligence” standard. There are 4 elements of negligence which need to be understood in order to determine if someone has a malpractice case. In order to prevail in a medical malpractice case in Pennsylvania, a plaintiff must prove four elements. Damage was in fact suffered. Each element uses the “preponderance of the evidence” test. This basically means that each element must be more likely than not. First, a duty must be owed. This is typically the easiest element to satisfy. A legal duty exists for a patient whenever a healthcare provider undertakes treatment or care of a patient. Second, the patient must prove that the healthcare provider breached the duty by deviating from the acceptable standard of care for the community in which the treatment was sought. This standard is a subjective standard and must be proved through the use of expert testimony. Third, a plaintiff must prove that the duty breached was the direct and proximate cause of the actual injury suffered. Fourth, and finally, there must be some sort of physical, emotional and/or pecuniary damage. It is irrelevant if a doctor was negligent, unless there is a specific harm caused by the negligence. Likewise, simply because a person is injured does not always mean it was caused by negligence (i.e. infections may often cause harm without anyone being negligent). If a plaintiff meets these four elements, then they may bring a claim for monetary damages against any defendants responsible. In Pennsylvania, you cannot continue a medical malpractice case without a Certificate of Merit. The Certificate of Merit (COM) is a letter by another healthcare professional in the same or similar field who opines that they have reviewed the case and believe that there is a deviation from the standard of care which has directly caused harm. If a plaintiff does not file a Certificate of Merit within sixty (60) days of the complaint, the complaint can be dismissed. Most medical malpractice cases in Pennsylvania come down to a battle of the experts. This means that both plaintiff and defendants will have experts, and the outcome is usually dependent upon which expert the jury believed. The experts are typically the most important person in any medical malpractice case. If you are thinking of pursuing a medical malpractice case, you need to make sure that you and your lawyers have the most credible expert(s) for the jury to believe. 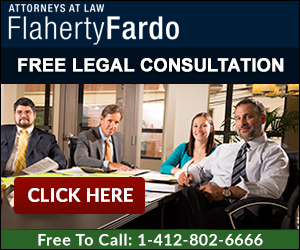 Flaherty Fardo offers free consultations on all medical malpractice cases under a contingency fee structure. We advance all costs of litigation and are only reimbursed upon successful recovery.